You are going to Watch Naruto Shippuden Episode 155 English dubbed online free episodes with HQ / high quality. 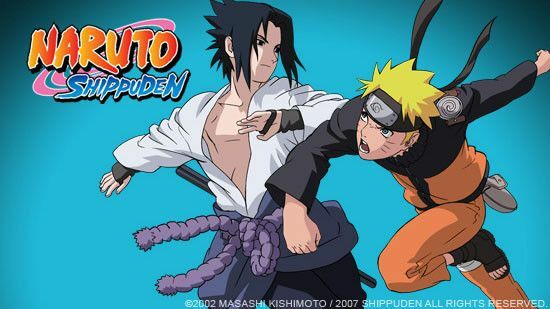 Stream Anime Naruto Shippuden Episode 155 Online English dub The First Challenge. Naruto commences his training to gather in Natural Energy to learn Sage Mode, in which he learns of a dangerous risk: if too much Natural Energy enters the body, the recipient might turn into a frog statuette. Fukasaku helps Naruto with a special lubricant called “toad oil” to gather Natural Energy quickly, and prevents his excessive collection of the latter by hitting him on the head. While taking a break, he gives Naruto the first book that Jiraiya ever wrote, which makes Naruto remember the latter bequeathing his mission for world peace to him. Meanwhile, the Akatsuki learn that the Killer Bee that Sasuke brought back was only a clone, as the Six Paths of Pain and Konan prepare to head out to Konoha to capture the Nine-Tailed Demon Fox. 4.8 / 5 - 82 ratings.